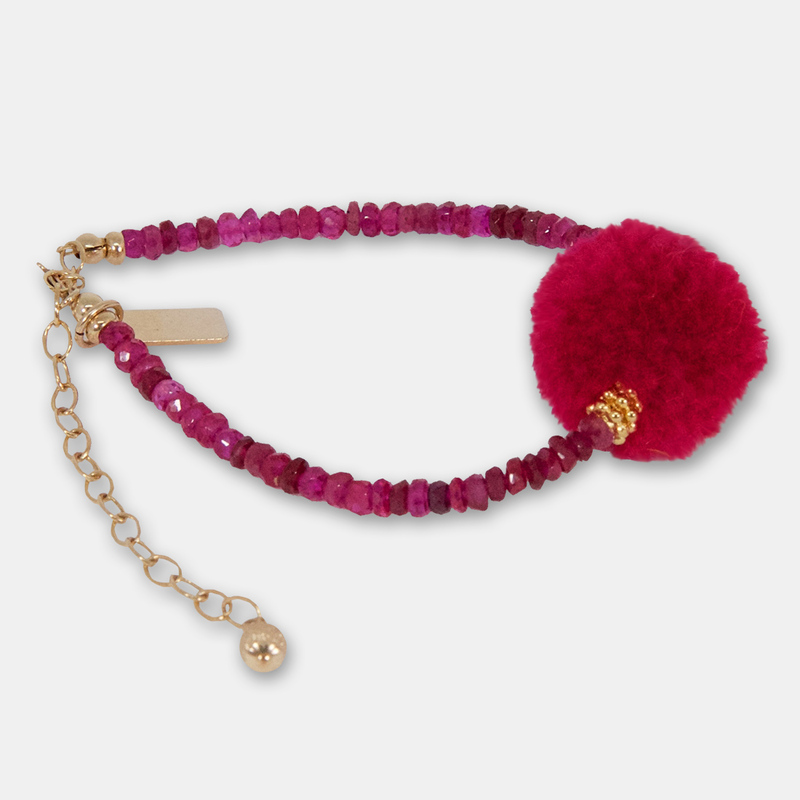 Delicate centre pompom bracelet made with precious ruby stones, gold-filled findings 16 cm approx. 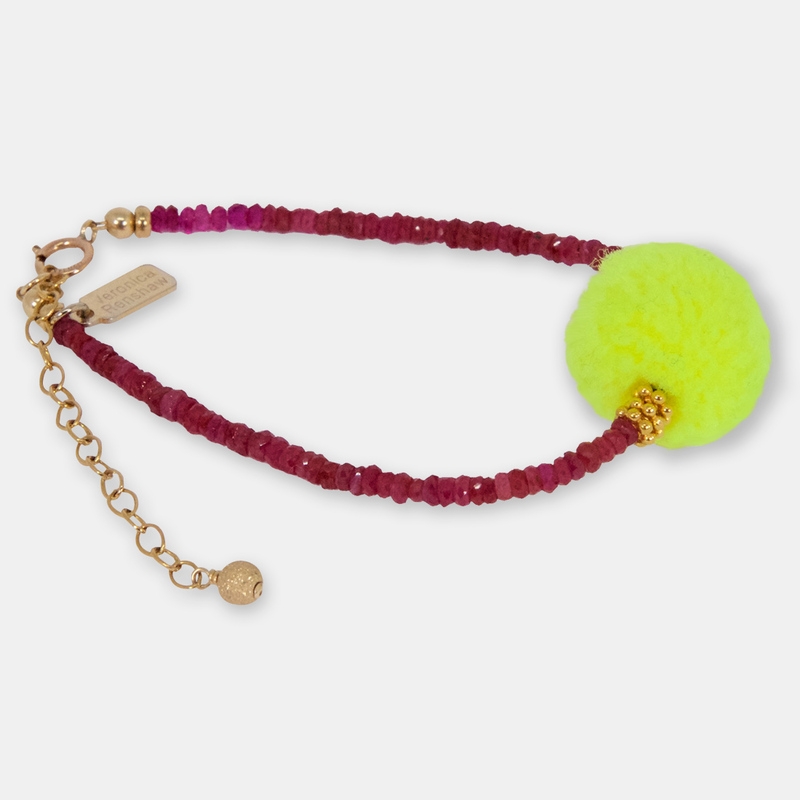 Plus glitter-ball extension chain 6cm approx. 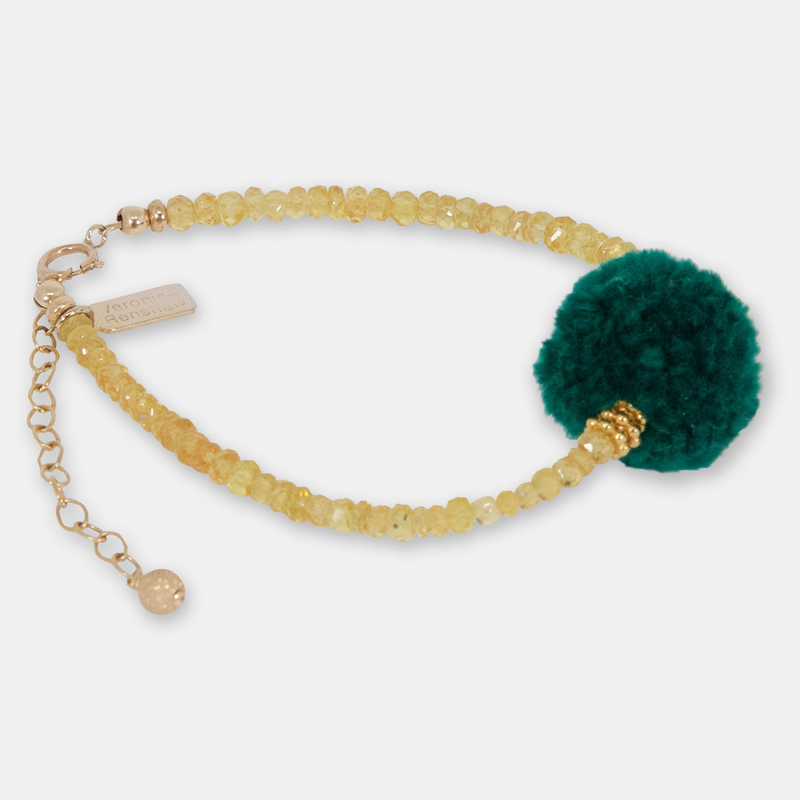 * All pieces are individually made so each one may vary slightly in the size/colour of pompoms and stones. 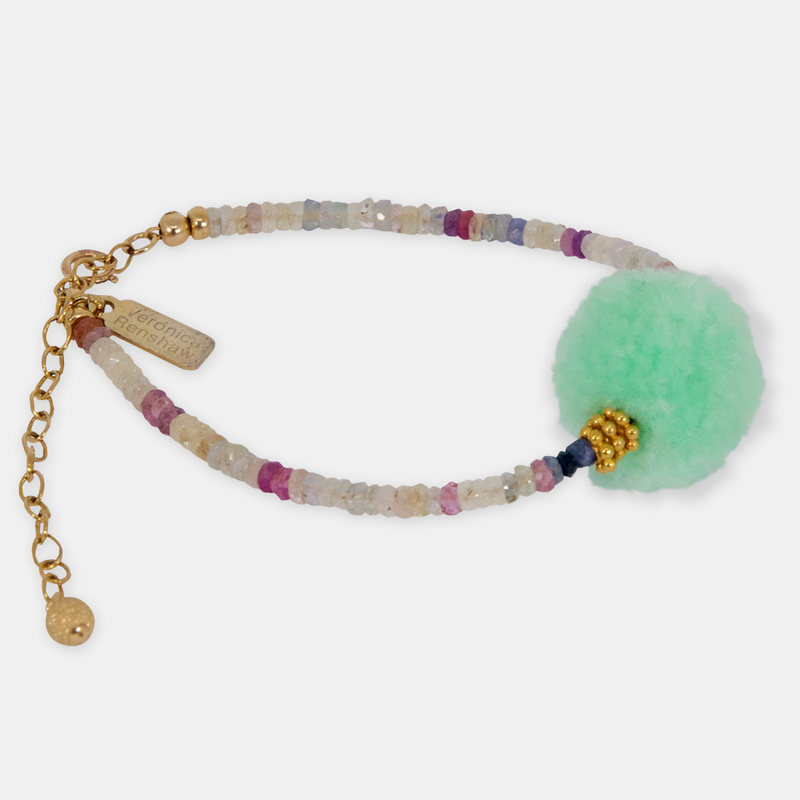 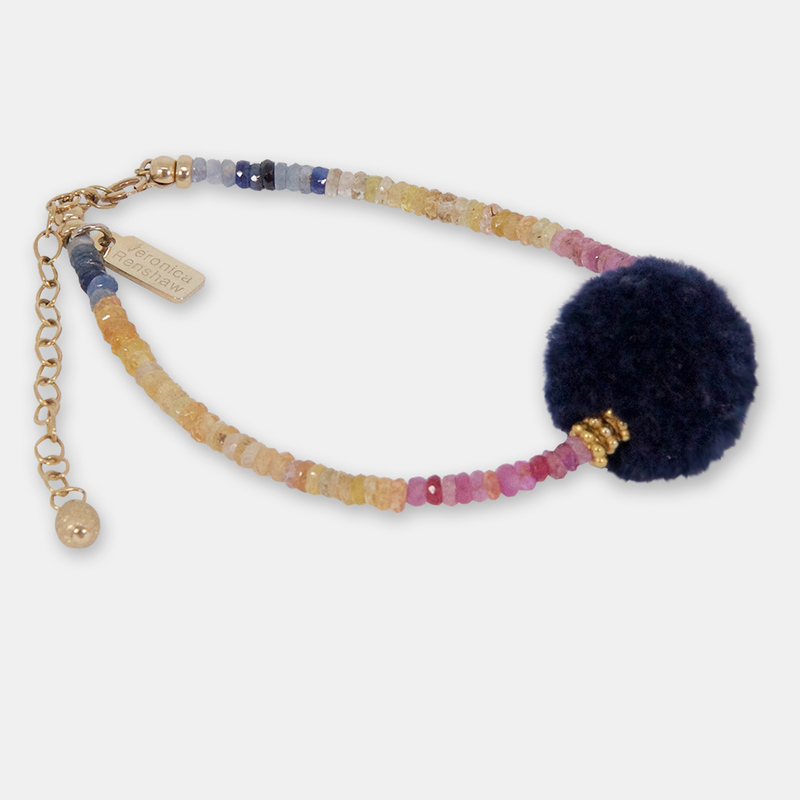 Delicate centre pompom bracelet made with precious multicoloured stones, gold-filled findings 16 cm approx. 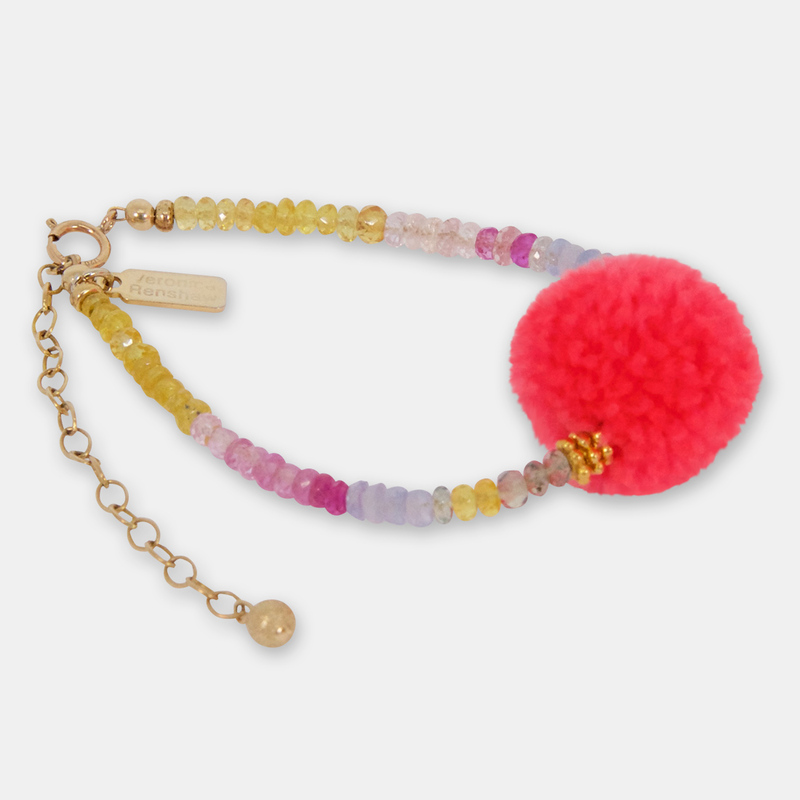 Plus glitter-ball extension chain 6cm approx. 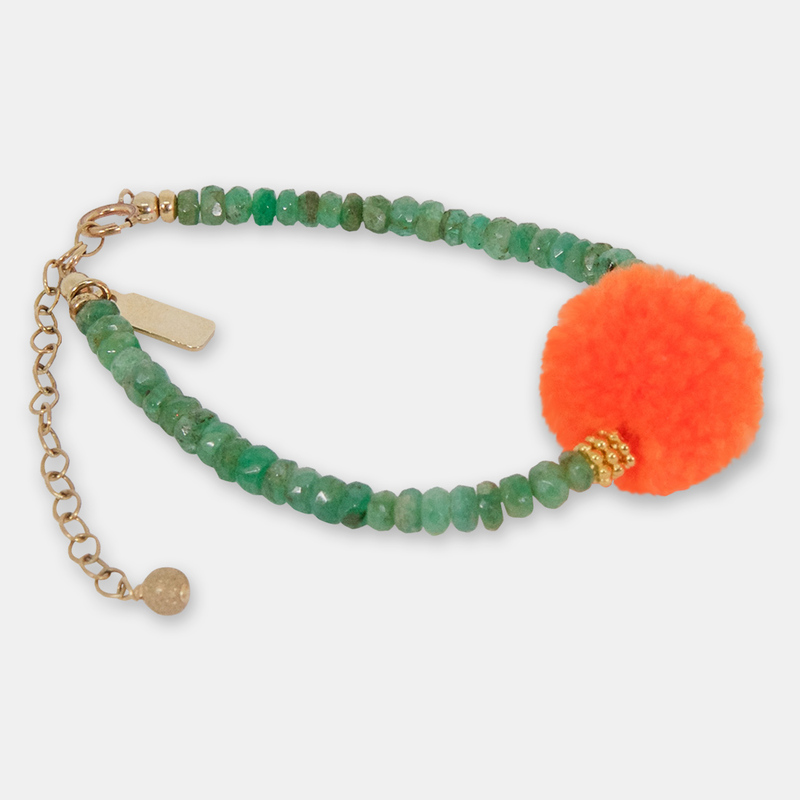 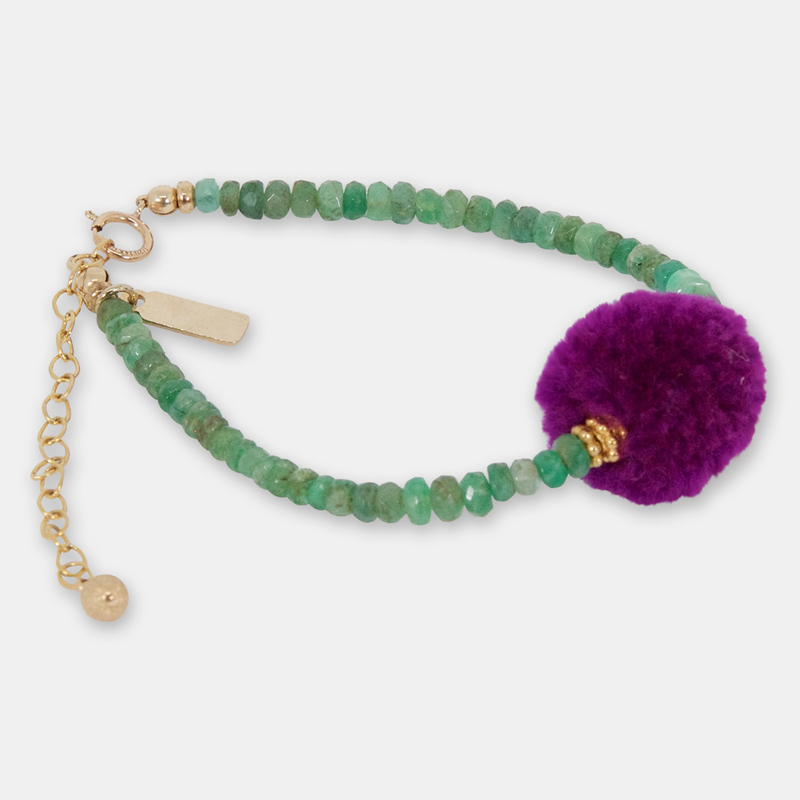 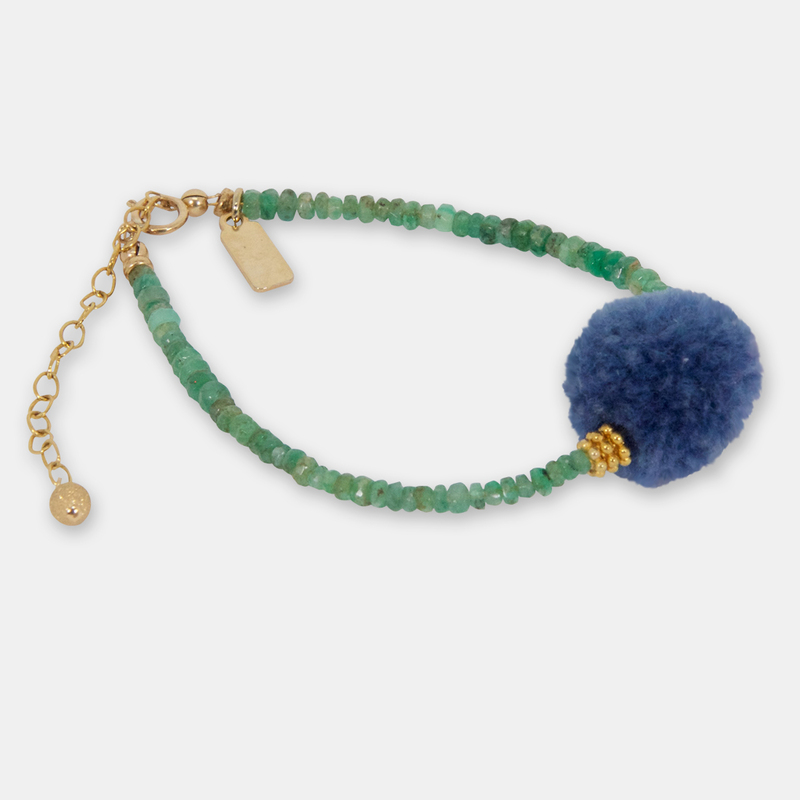 Delicate centre pompom bracelet made with precious emerald stones, gold-filled findings 16 cm approx. 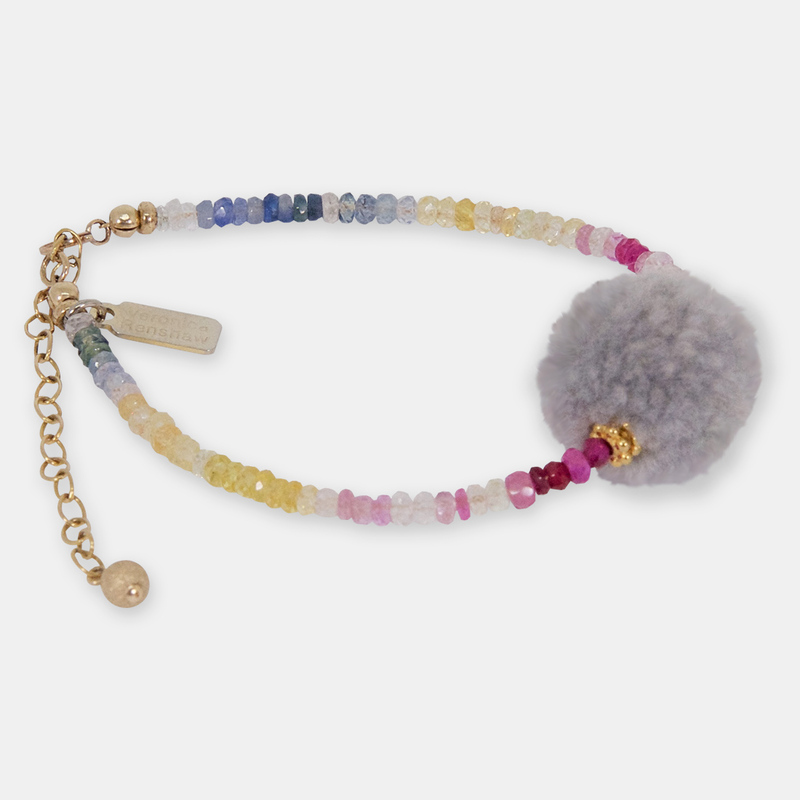 Plus glitter-ball extension chain 6cm approx. 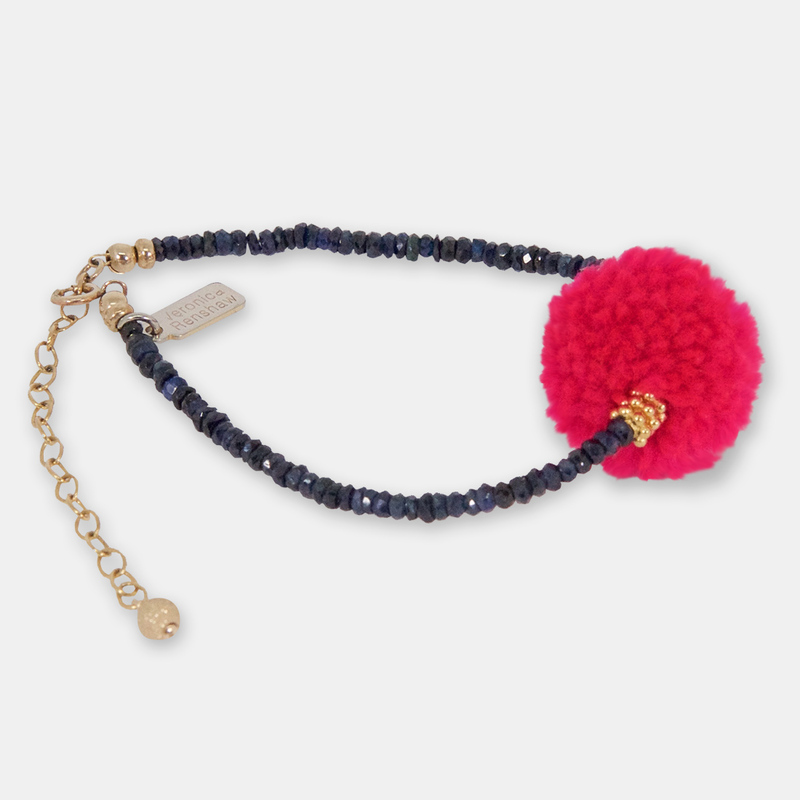 *All pieces are individually made so each one may vary slightly in the size/colour of pompoms and stones. Delicate centre pompom bracelet made with precious blue sapphire stones, gold-filled findings 16 cm approx. 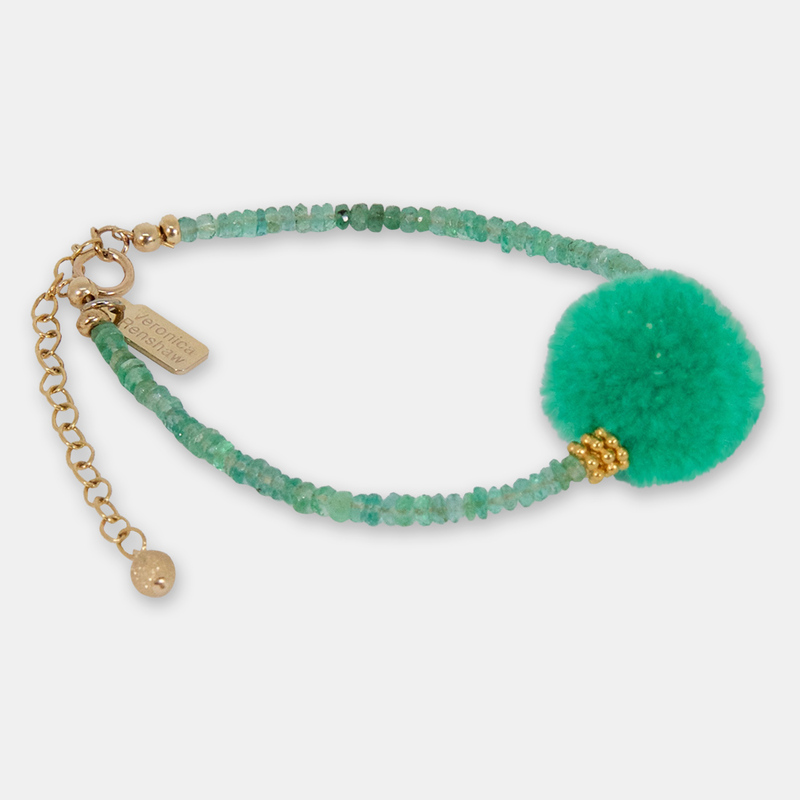 Plus glitter-ball extension chain 6cm approx. 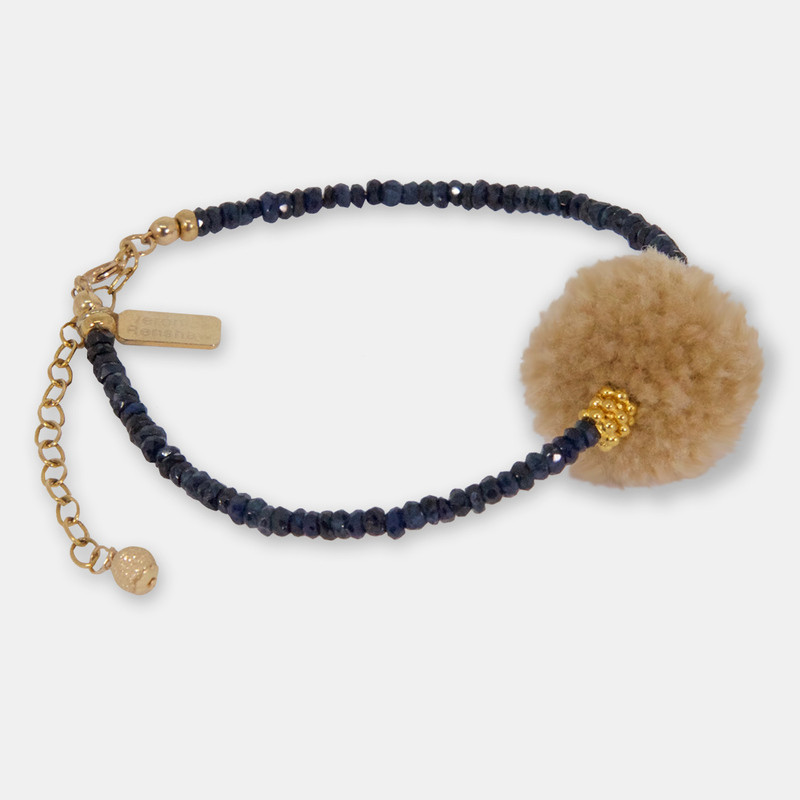 Delicate centre pompom bracelet made with precious yellow sapphire stones, gold-filled findings 16 cm approx. 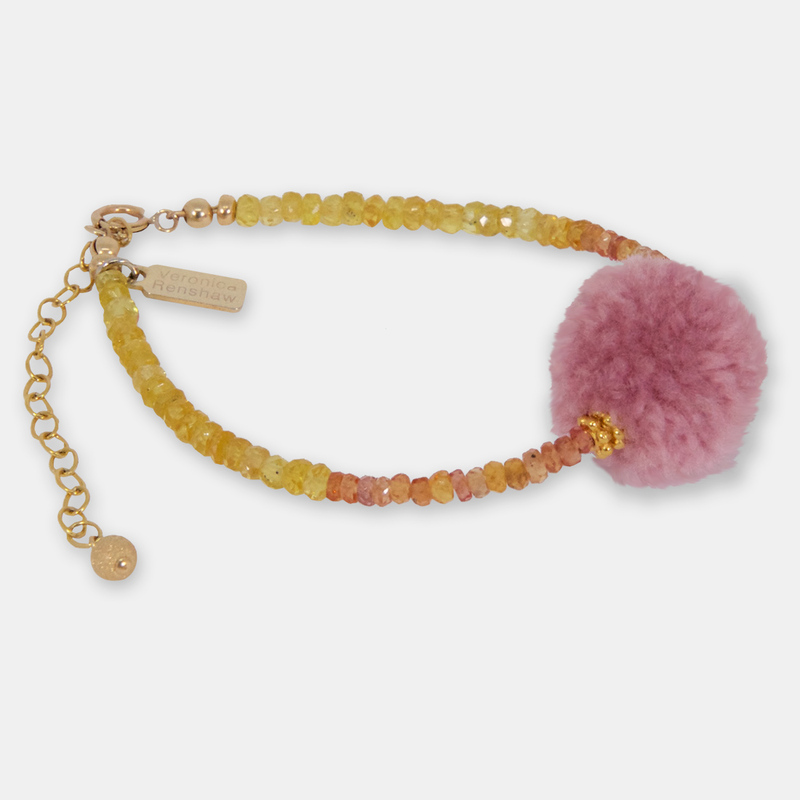 Plus glitter-ball extension chain 6cm approx. 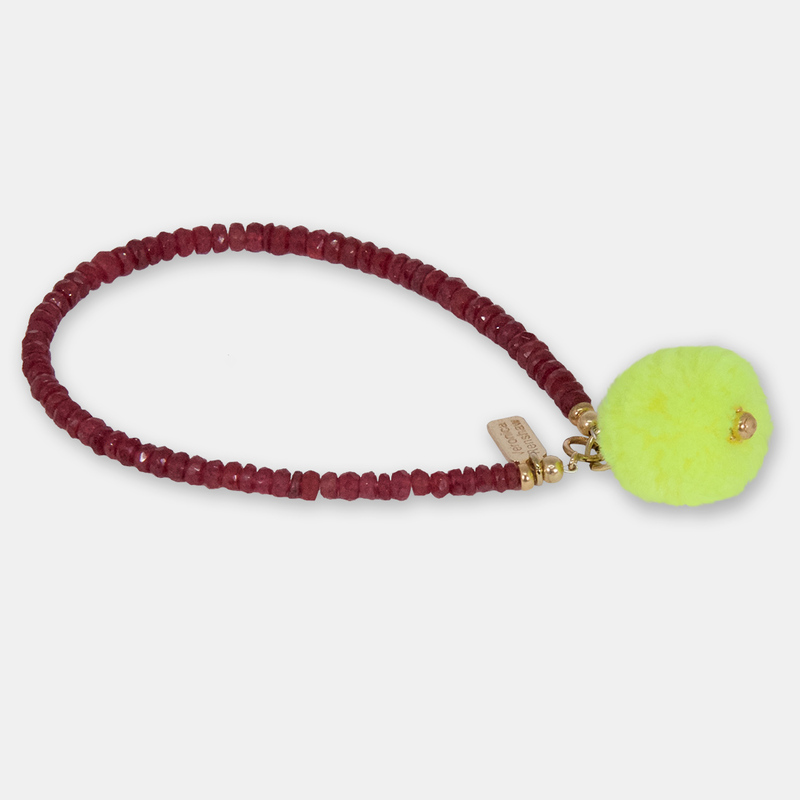 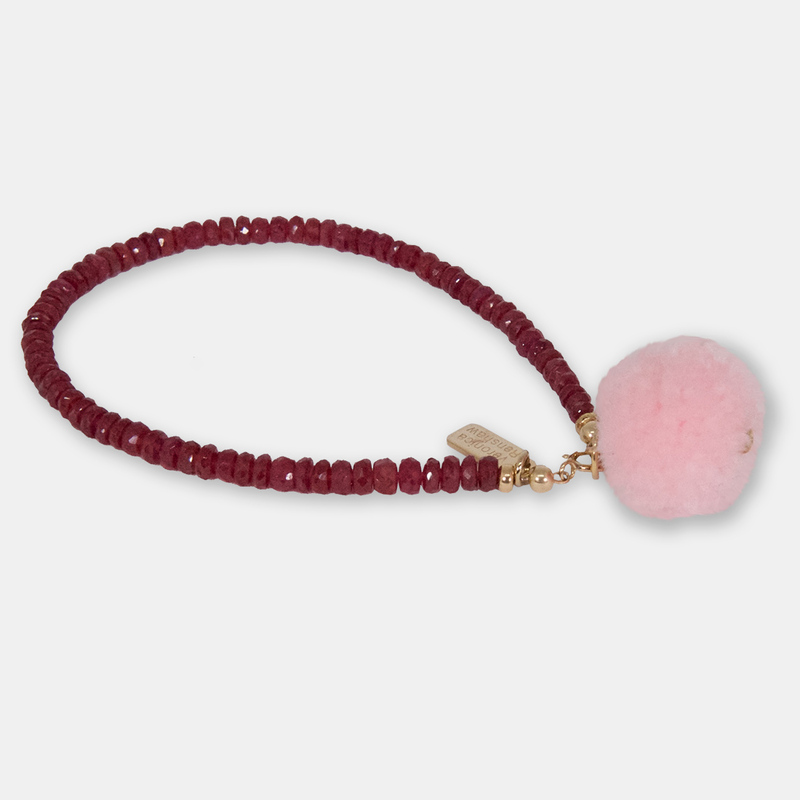 Delicate side pompom bracelet made with precious ruby stones, gold-filled findings 18.5 cm approx. 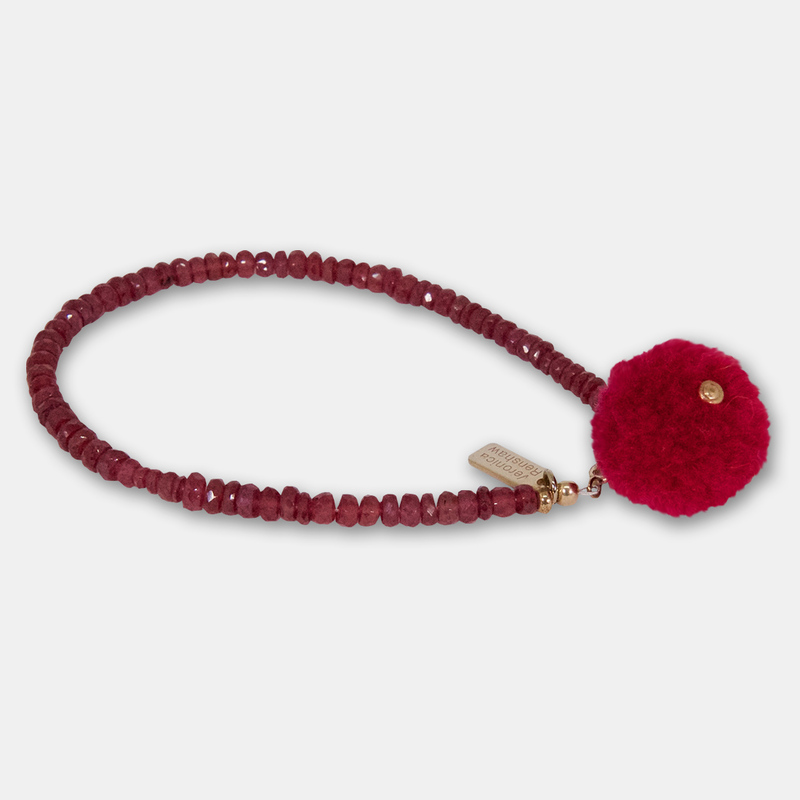 sacred confetti celebrates the dual aspect of life. 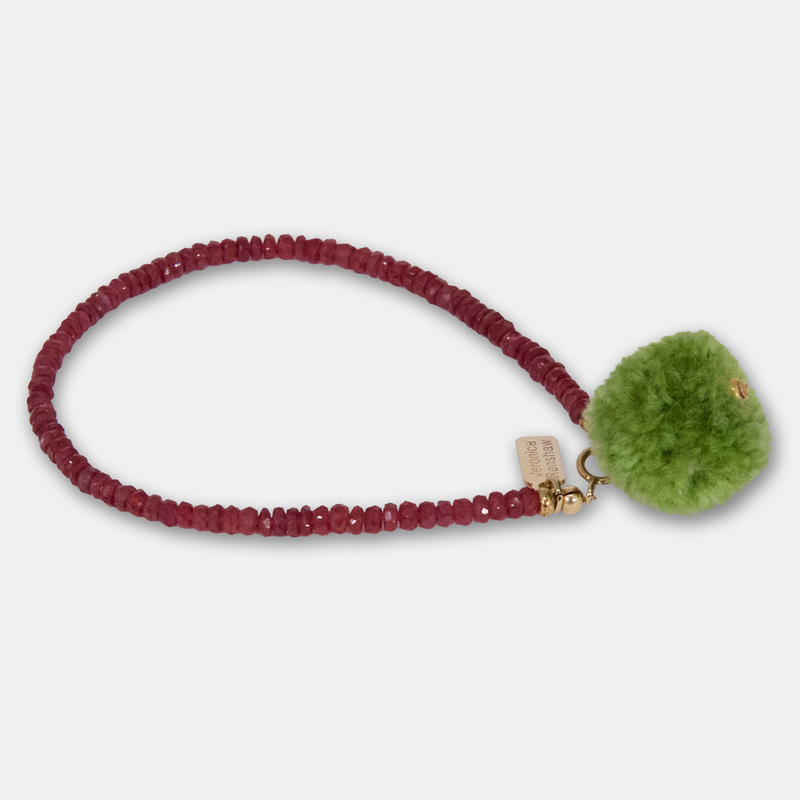 This website is a playground to excite the senses and inspire the soul.